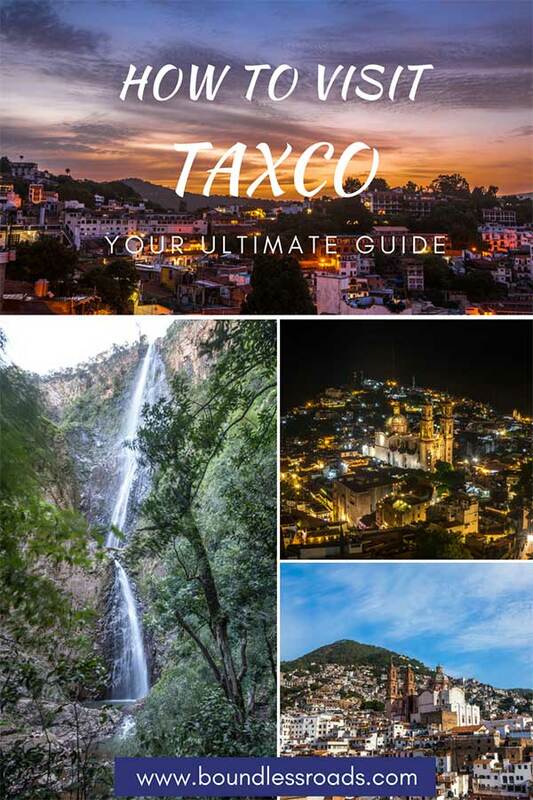 In this post, I will tell you why you should visit Taxco and all the multiple reasons why you will fall in love with it, including the traditional Mexican jewelry, silver most of all, for which the cute hilly town is most famous for. 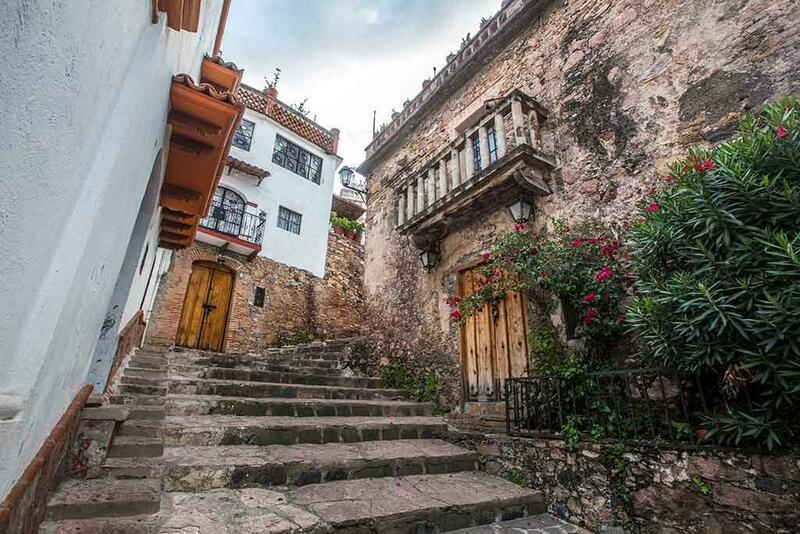 The old village of Taxco was, in fact, the only place in Mexico where silver was extracted, turned into beautiful precious jewelry and sold to all the shops in Mexico and all over the world. And I was wondering why I was seeing so many shops in such a little space. But I will cover that later on in the post. 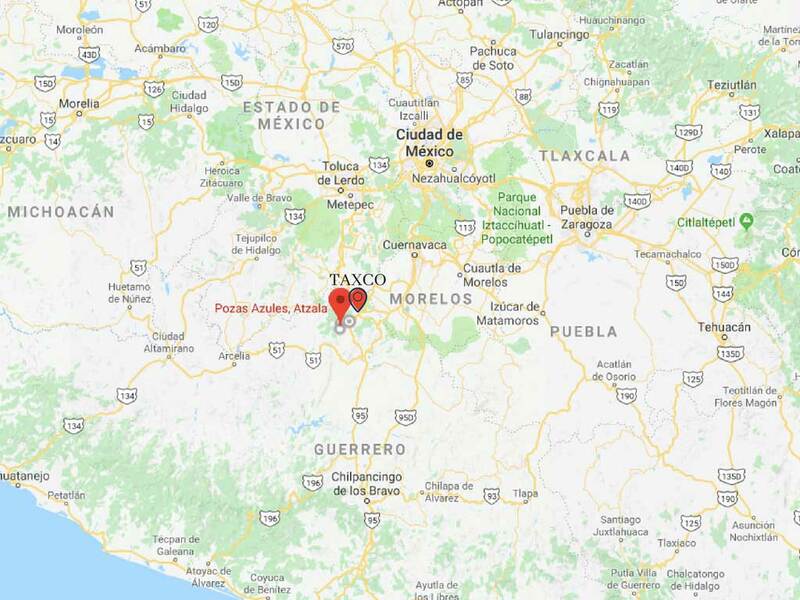 So now you know that if you are vacationing on the Riviera Maya, Puerto Vallarta or Mexico city and want to buy some silver jewelry make sure it comes from Taxco so that you will have the finest piece. However the so-called Pueblo Magico ( Magic Town) is not only famous for its silver mines, but for its’ hilly and winding narrow cobblestones roads, its numerous churches, convents, and haciendas witness of its sad history of conquest and religious subjugation, the natural beauties of the surroundings and much more. 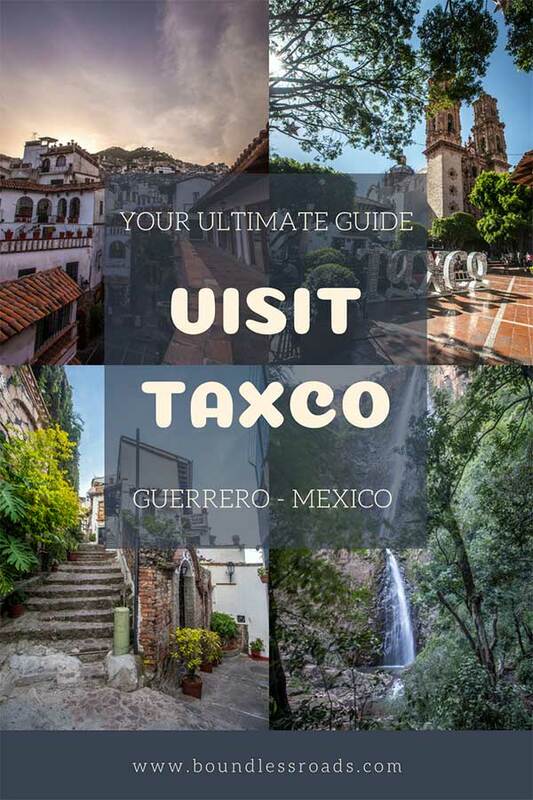 Where is Taxco on the map? Before planning to go there I was told by some friends that it was the most beautiful Pueblo Magico in Mexico, and now that I have been able to experience it, I totally agree with them. Here below you will find everything you need to know to appreciate this little town as I did and to enjoy it to the fullest. You can link on the index here below to get straight to the section you want to read or just scroll down, at your convenience. Taxco de Alarcon is located in the State of Guerrero, Mexico, at 177 km south of Mexico City and 243 km north of Acapulco (on the coast). Taxco offers an ideal temperature, mild all year round. The maximum is 27ºF in summer and 17ºF in the coldest time. If you feel cold, no worries, just walk around the city with its steep roads and you will warm up immediately ;). Rainy season is normally from June through September. 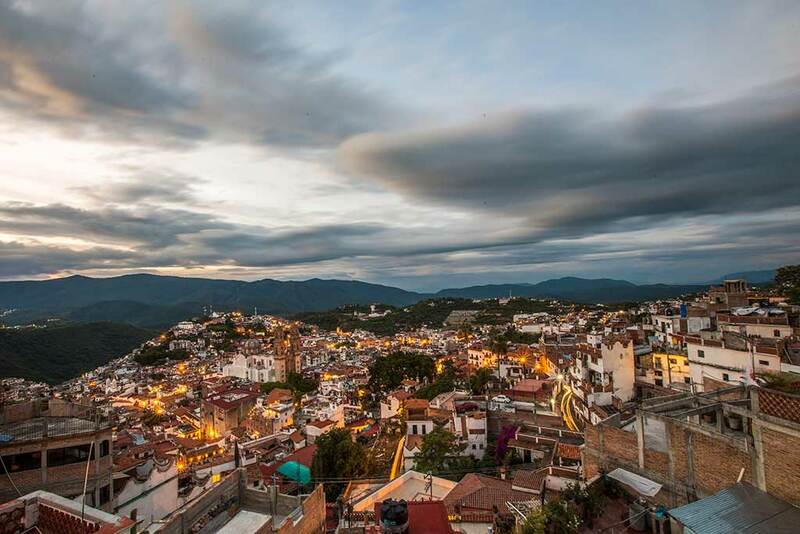 There are different versión on the origin of the word Taxco. The first one says that it comes from the Nahuatl word Tlacheco meaning the place where they play with a ball. 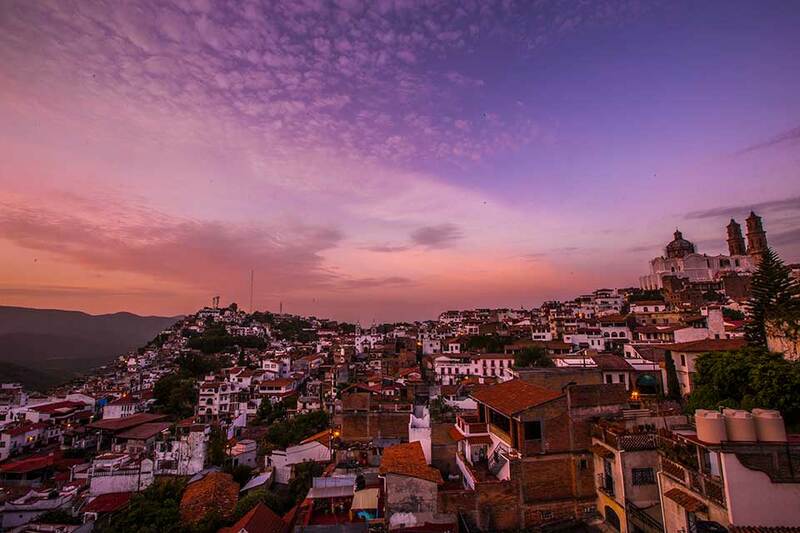 Another version says that the word Taxco comes from Tatzco which means the father of water, which could be possible as the village is enclaved right in the stratum of the Atzatzin hill. De Alarcon comes from the popular Mexican screen player and writer Juan Ruiz de Alarcon who was born in the city. Before the Spanish invaded the city, the main center was not where Taxco is now, but at about 12 km south, where different civilizations were living peacefully together, Matlazincas, Chontales y Tlahuicas and it was the found the most important settlement of the prehispanic civilization. 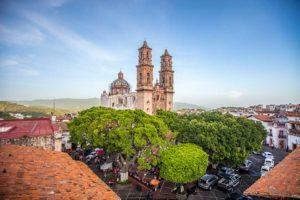 Where is now the actual city of Taxco, precisely where the Parroquia of Guadalupe is situated, it was called Tetelcingo. When the Spanish arrived, sent by Hernan Cortes, in 1522 they were looking for pond, to mix with copper and build cannons. The prehispanic civilizations were already into mining and they extract different kinds of metals used uniquely to create objects for their religious rituals. Cortes’ soldiers went back to their leader with a sample of what they found. When Cortes realized that the white minerals were the precious silver he sent another expedition to explore the entire region. The Spaniards then settled and inhabited the territories where is now the city of Taxco while the indigenous civilization stayed in the old Taxco and surrounding territories while was exploited by the conquerors to search for silver. 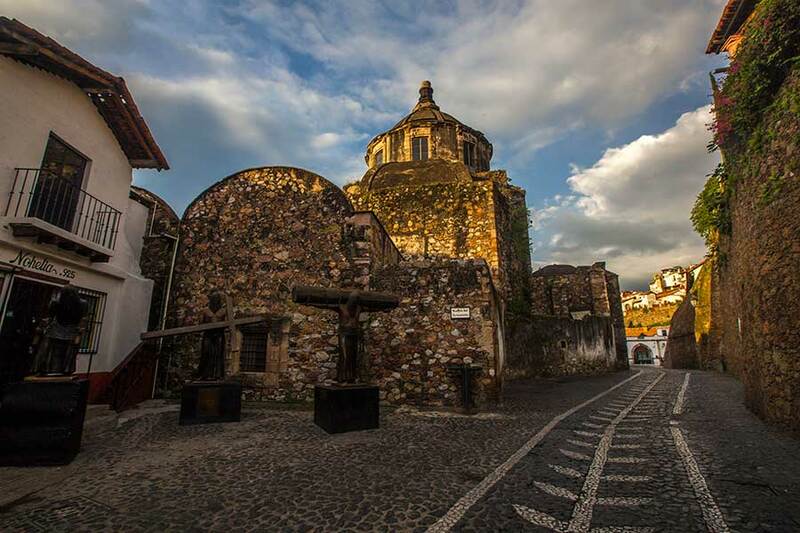 For the next 200 years, despite the precious discoveries, Taxco stayed in the shadow until Francisco and Jose’ de La Borda arrived from Spain in search of fortune. And so they found it. It’s a fact that they continue with the exploitation of the population, however, we cannot deny that they have also provided the city with the infrastructure and important buildings of the city itself, financing among others the Santa Prisca temple, and the water pipes. It was not until William Spratling, an American artist, moved to Taxco in 1920, that the silversmithing, the art of working silver, was enhanced so as to become a real profession and source of income for many locals. The silver jewelry out of silver started to be exported to the USA and that was the beginning of a new era for the old mining town. Its fame was spread all over the world and tourism started to flourish, together with production and commerce of the precious silver jewelry and ornamental objects. The sources of this information come from Wikipedia, Taxcolandia and a conversation I had with a guide in the Museo de Arte Virreinal. 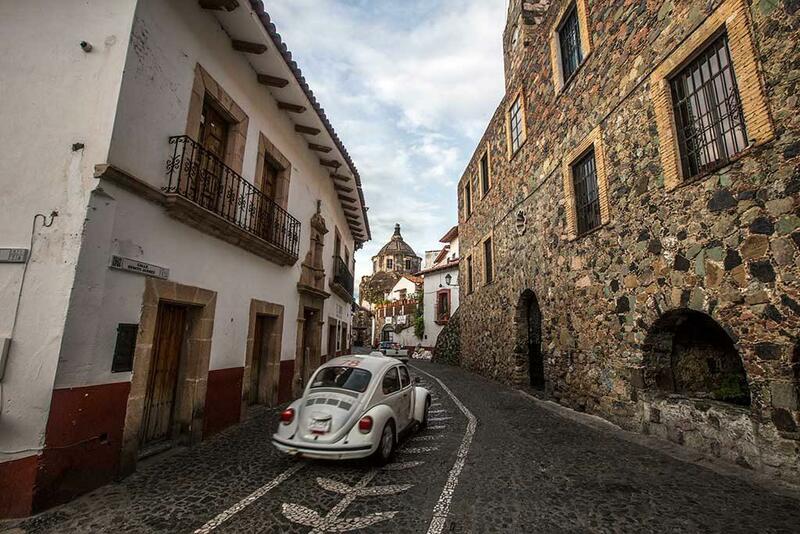 One of my favorite shots in Taxco – cobblestoned roads and the VW Beetle with the church in the background. 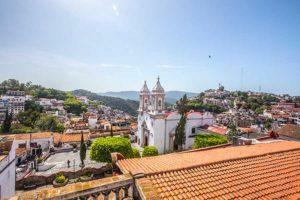 Getting to Taxco, either by car or bus is an experience in itself. I arrived on a bus from Toluca and the entire road winding through the lush vegetation wrapping the mountains, is just breathtaking especially when you look down the slope and you thank god you are on the hillside of the road and not by the cliff, you know…? The bus driver seemed a little too confident but, as positive as I am I was sure he knew what he was doing. You will see from a distance tons of white building and red rooftops so close to each other it looked as if it was fake, like a cartoon picture. I was coming from Guadalajara so my best option was to get to Toluca and hope on another bus to Taxco. 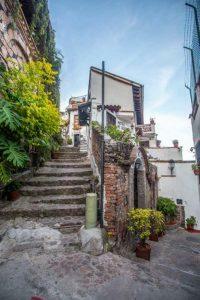 Taxco is normally a common destination for a 2 or 3 days trip from Mexico City both for locals and tourists alike. It’s only 2.30hrs beautiful bus ride and busses in Mexico, I have to tell you, are amazing, better than a first class plane, very spacious and with your own entertainment screen. Not all of them but the majority of the bus line. They are normally named “oro” (meaning gold) or luxury. ADO plus/Estrella de Oro from the bus station Taxqueña it takes you to the bus station Taxqueña. Costa Line leaves from Central Sur Bus station every 20 minutes from 6.05 am until 1 pm and then every hour until 8 pm. The return to Mexico City is from 6 am every 30 minutes to one hour and the last bus is 8 pm. 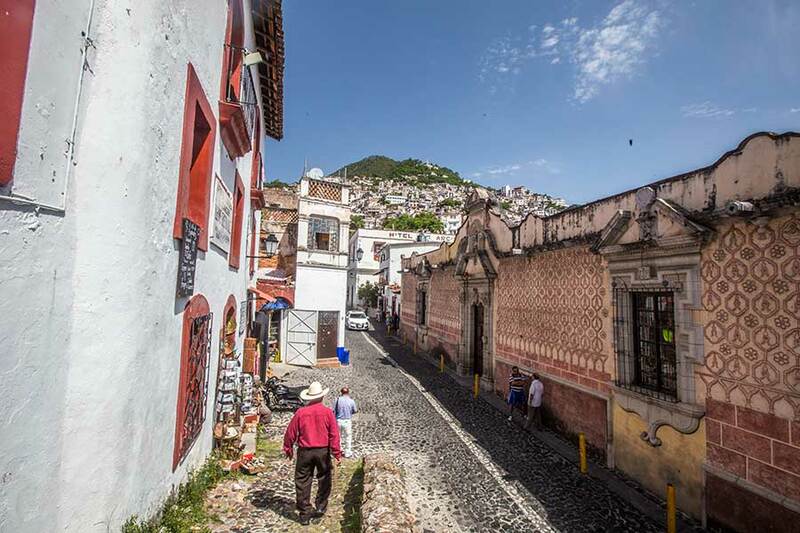 When you arrive in Taxco, you are welcomed by a very busy main road that cut the hilly town in two parts. Cute kids will approach you asking if you need a taxi and of course, you do as you wouldn’t want to carry all your stuff up the steep roads. A lovely white VW beetle is there ready to take me to my hostel. You actually see lots of them at your arrival running around like crazy as if you could expect some crash any minute. And I had the same thought when my ride took off (literally). The slim wrinkled guy, so proud of his cute little car, pushed down on the gas pedal in order to make it up to the hilly lane, careless of the car coming down. I just closed my eyes and prayed for the best, while my bags, roughly tucked into the missing right front seat space, where swinging right and left, up and down. I was sure I would see them flying out the door anytime soon. Despite all odds, we arrived safely at my destination instead, my hostel, whose doors were closed (but this is for another story), and the kind driver was also making sure I was ok there. It was a 10 minutes ride and cost me only 25 pesos ( just more than a dollar). 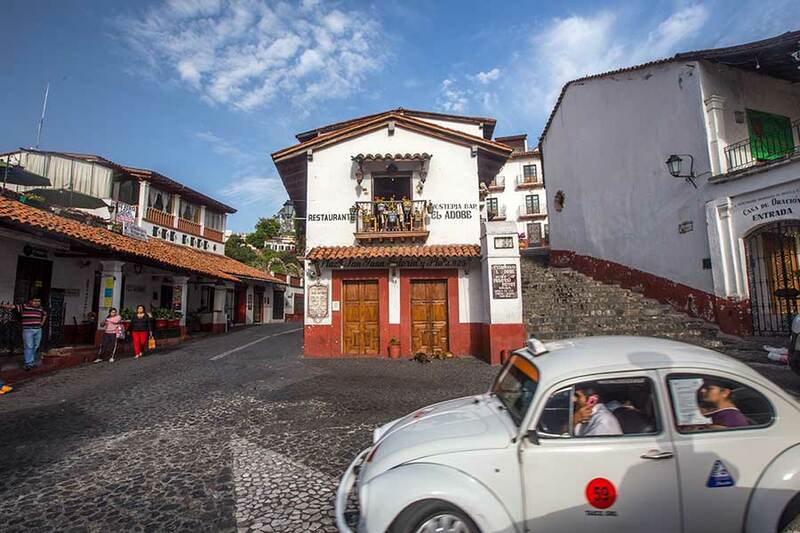 VW Beetles are a sort of icon in Taxco and you will see them constantly flitting around while you are peacefully walking, looking up, admiring the quirky town. 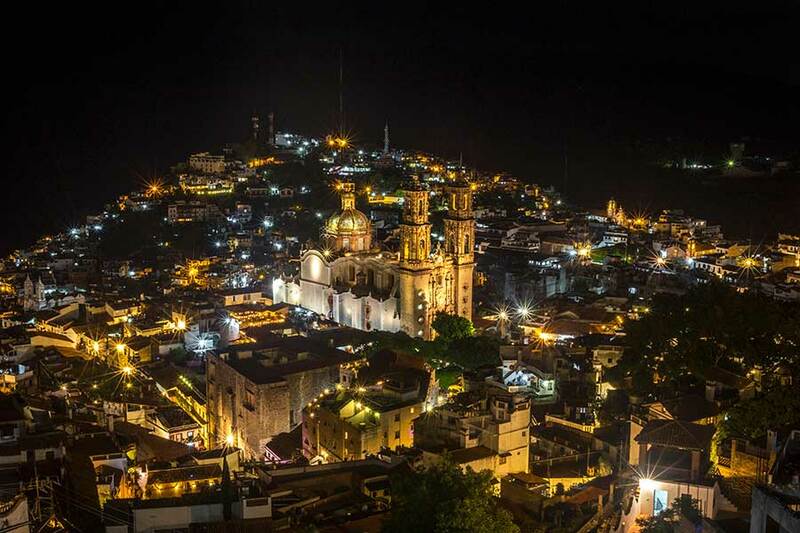 To reach to the points of interest in Taxco you don’t really need a taxi, unless you are tired of all the steep roads, especially at the end of a long day of exploring. During my stay, I had a few occasions where I needed a ride and of course I jumped on one of the funny beetles instead of what they call “luxury” taxi, which is nothing more than a more modern car. Where is the fun, otherwise? If you wish to get out of Taxco and visit the nearby natural wonders, like Pozas Azules waterfalls or Cola de Caballo, the caves of Cacahuamilpa or Miles Cascadas you will hop on a “pecera” (fishbowl) or combi, which are minivan connecting the nearby towns. But I will explain more in details on separate articles. Here I am going to talk about all the things you can do in Taxco. It’s a small place but there are so many things to do in this historic silver mining town. The proof is that I was going to stay there for just a couple of days and I ended up staying 5. So hold on tight and check out the long list. Walk around the narrow roads starting from the zocalo and winding around, look up and check out the beautiful old building and the rooftop terrace but also look down and see how the cobblestone roads are nicely decorated. But… SAFETY TIP: avoid walking alone in too isolated narrow lanes. 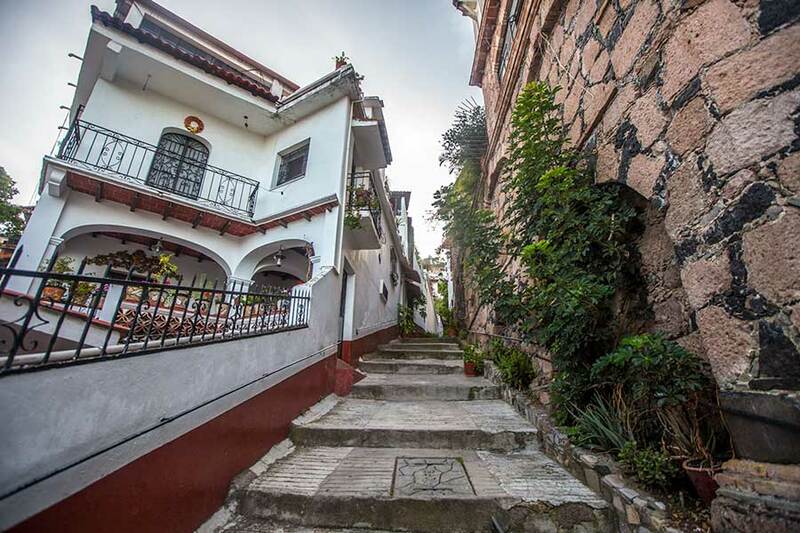 Taxco is made of viable winding roads and the so-called “callejones” which are small lanes made of stairs, for most of the time where cars cannot circulate. The ones around the Zocalo are just fine, and I actually recommend to visit and get lost around there, but there are some isolated zones further away from the center that I would avoid. When you visit a colonial city in Mexico the first place you want to go is the Zocalo, which is the main square, which is normally made of a park of any size, a church, or a cathedral and restaurants (normally the most touristic) around it. 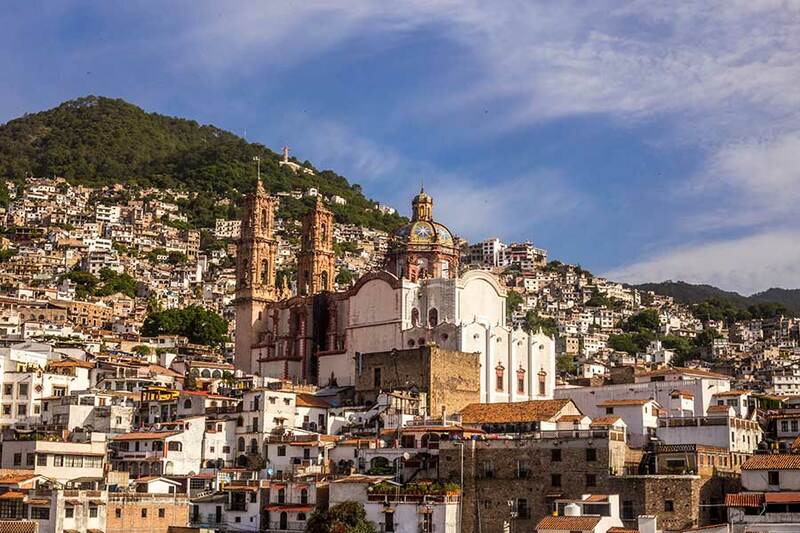 This is basically a standard structure and Taxco looks exactly the same, with the difference that from the zocalo you can also admire the beautiful buildings framing the cute small square. 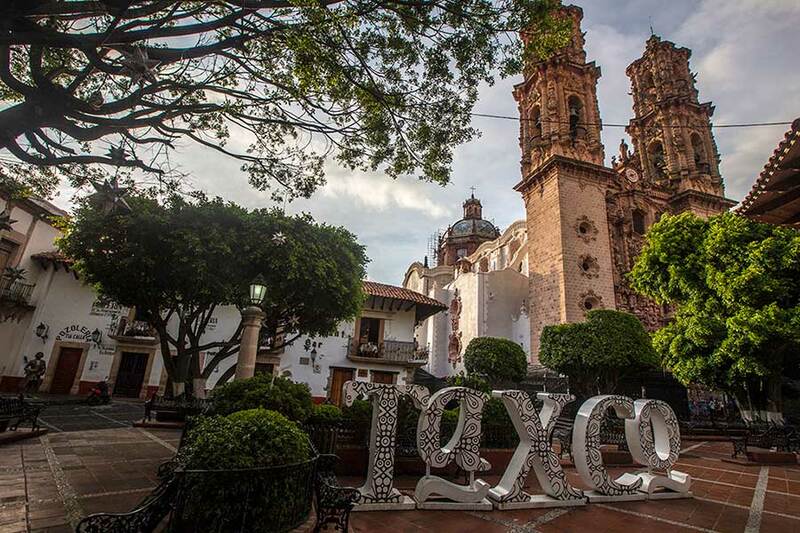 A big and stylish TAXCO sign is placed in the middle of the plaza beside a kiosk and iron benches are there for you to relax from all the walking you have done. I loved to hang out in the Zocalo in the evenings where people of any age, use to dance at the rhythm of traditional Latin songs while foreigners were trying to keep up with correct steps. I also used to have breakfast at La Punta del Cielo Cafe‘, when they just open, around 8 am, and the plaza is still waking up, a few people around, more beetle taxi, looking for clients to the sun is shily hiding through them and you can take some beautiful pictures of the church. 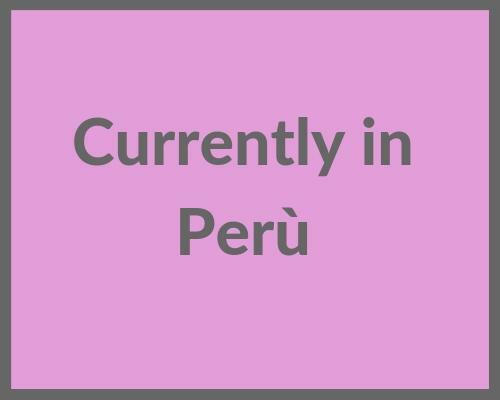 A gelato place Tepoznieve is located right opposite the church for a fresh afternoon break or after lunch dessert. This was one of the best museums in Taxco for me. The name is a little misleading because it’s not only about religious art, it’s about Taxco history, therefore a very interesting visit. The entrance is only a symbolic 20 pesos (1 USD) and you will get to have a guided tour of the place. 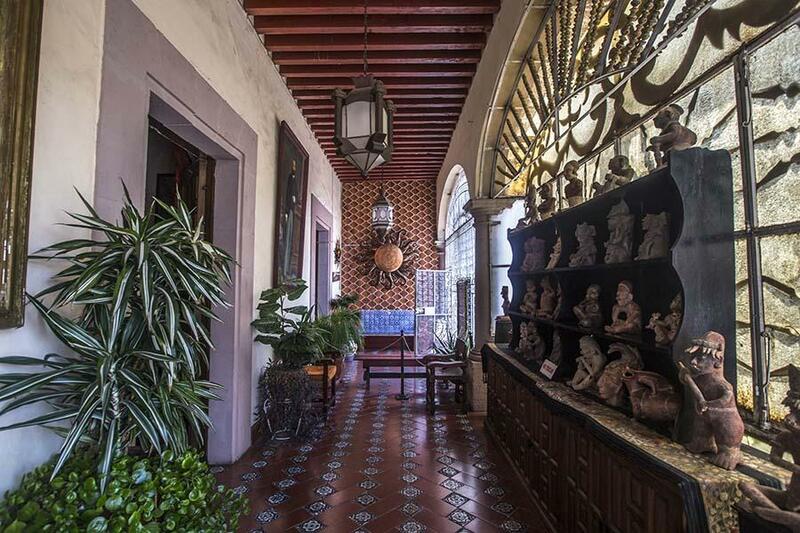 It’s a small house, with a collection of paintings, statues, and pieces of furniture from the past, each one evoking a moment of the history of Taxco. The place is quite small and it’s a short tour but definitely worth it. Of course, you can tip the guide at the end. It’s a humongous statue of Christ on top of the hill overlooking Taxco, the highest point in Taxco. You could walk up and it’s would be a great hike although some roads could be a little isolated. I got a taxi to get there. They ask you about 60 pesos. They will ask you if you want them to wait for you but it’s not necessary as there is a taxi station right there or you can walk down. I would recommend to walk down with somebody, not alone. The taxi drivers I met told me it was safe to walk down, but I would be careful anyway. I was lucky to meet a nice couple and I tagged along. We talked our way down the Zocalo and it was a very pleasant walk. The view you get from the terrace around the statue is breathtaking and if you are a photographer you would want to get there before the sunrise and see it from up above. Maybe ask a taxi to take you and wait for you in this case. Mr. Figueroa was an American painter who moved to Taxco with his Mexican wife and bought this house where he filled it with all his art and other interesting pieces of art and furniture which he donated to the government when he died. The house has also an interesting history in itself and if you decide to pay a visit a knowledgeable guide will take you through all the rooms, the art, and history. 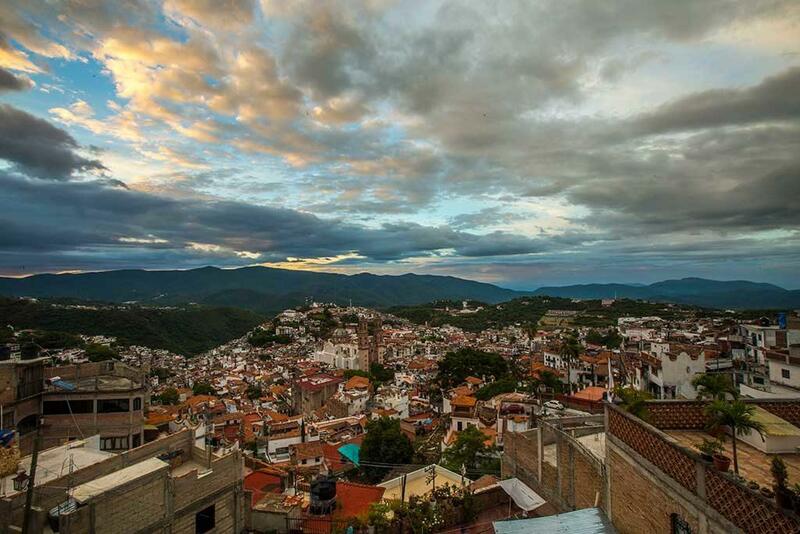 If you can fit it into your schedule it’s a great way to spend one hour of your time in Taxco. The museum is also called Casa de Las Lagrimas (house of tears) for the sad history that’s behind the property before being purchased by the painter, the latest owner. William Spratling was an American designer and artist who lived in Taxco from 1929 and gave an impulse to the silver craftsmanship with the opening of the first workshop. He had also a passion for archeology and he was an avid collector of prehispanic objects. He donated all pieces of his collection to the UNAM and after his death left all the remaining of the collection to the population of Taxco. The museum is an exposition of these pieces and was naturally named after the generous artist. Unfortunately, I have missed it but if you are interested in history and curious about archaeology you should definitely check it out. It’s a nice exercise from the Zocalo walking uphill until you reach the church. The building has no particular charm but the view will make your jaw drop. I liked it even better than the view from the Cristo statue because it’s closer to the church and you can still see the details and yet have an overview of the city. I went there a few times, one of which in the night when I discovered it while I was looking for a great view for a night shot of the city. I felt very lucky and this picture below is the result. Then I went back in the morning, very early to catch the sunrise, but this time I took a beetle taxi to get there on time and although it wasn’t spectacular, it’s nice to walk around the city so early when traffic is not so noisy and fewer people on the street. It’s so calm and you feel like you have the city all to yourself. This is another small church among the many scattered around the city. It’s another amazing view, this time more facing towards the sunrise. It’s actually a better view then Guadalupe although it’s a little lower. I literally bumped into it while I was wandering around one day. The place is a little isolated though, so I would definitely go with somebody and during daylight. 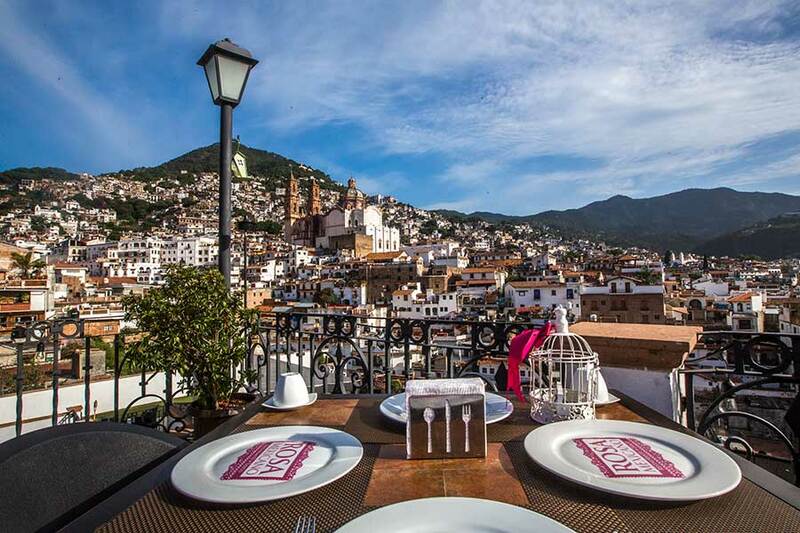 Besides his fancy colorful rooms, this cute little hotel, that will show on top of my favorite hotels in Taxco list, boasts a stunning view from its restaurant terrace. So, picture yourself sipping your coffee and savoring your delicious breakfast while looking at the gorgeous Santa Prisca church, and all the red rooftops and white buildings scattered around the green hill under a blue sky, the sun warming your back just enough while illuminating the entire scene with the perfect morning light. 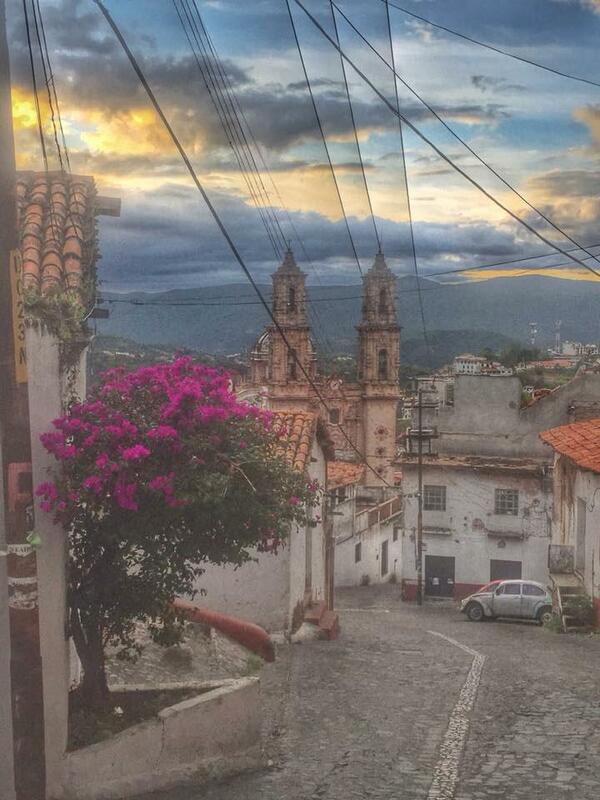 That was the best morning in Taxco for me. You can also go for lunch or enjoy a delicious romantic or solo, (as I would do) dinner. I didn’t do it, I admit, but it should be worth it. It’s only 90 pesos return (4.5) and for sure you will enjoy the full view of the entire city and surroundings from there. Taxco jewelry history has sad stories to tell, stories of exploitation of the prehispanic population who have been enslaved by the Spanish conquerors in order to work in the mines in atrocious conditions. Fast forward 500 years, in 2014 while the hotel la Mission was refurbishing the bar, they have discovered this old mine which has been hidden by the Chantales civilization, so that the invaders wouldn’t see it. Now the old iconic hotel La Mission offers tours to find out more about the history and legends of the mine. After the tour, you can relax in the lovely restaurant of the hotel enjoying lunch or dinner looking at a spectacular view of the city. 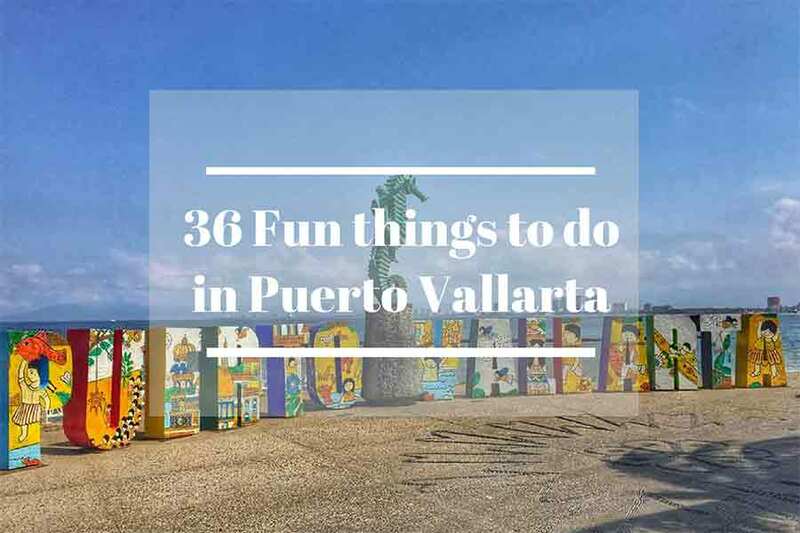 You cannot miss it as it extends for pretty much a quarter of the city, right below the Parroquia of Santa Prisca going through calle Pajarito, callejon Menendez and more. It’s a beautiful colorful experience even if you don’t have to buy anything. However, you can get freshly cut fruits and local dishes, sweets, or pieces of art and craft. I had my fruits, freshly cut and wrapped up for my bus trip. As we were just mentioning despite its sad history, Taxco is now worldly famous for the old silver-mining and craftsmanship and although there are no more active mines now, the silver craftsmanship stayed in the soul of the Taxco inhabitants who maintain the artisan tradition live and still creates beautiful jewelry and silver decorative object sold all over the world. It’s actually the only city in Mexico that produces original high-quality silver goods. 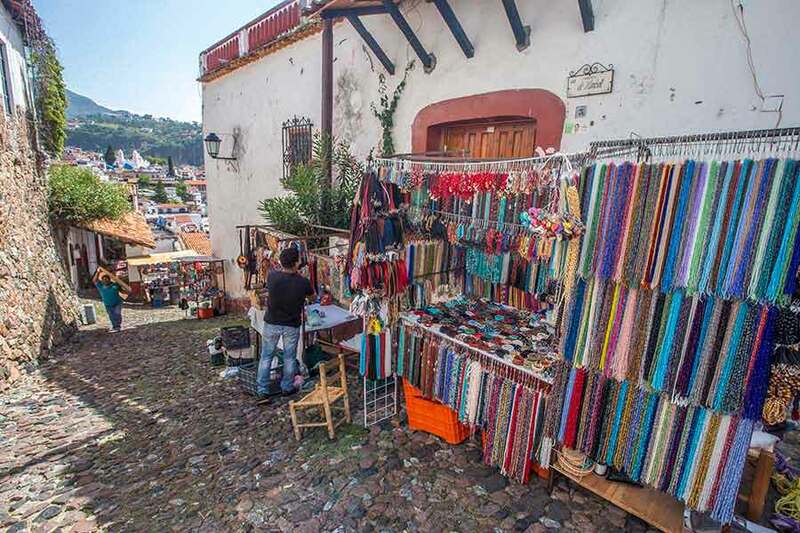 Merchants from all over the world come here to shop for their retails and if you are buying some silver product that comes from Taxco you are guaranteed of quality and originality. Or you can come here and buy it directly from the artisan. Walking around the city you will find thousands of shops and market stalls selling the most beautiful pieces all unique. I didn’t have interest in silver shopping as I am traveling with my backpack well and other bags but that’s another story, and the last thing I want is a shining object to carry, let alone to wear. However, I reckon the prestige and beauty of the products. On a Saturday you will see the main road packed with stalls for the silver “Tianguis” (market), attracting a lot of local tourists or vendors to buy the precious object for personal or commercial use. 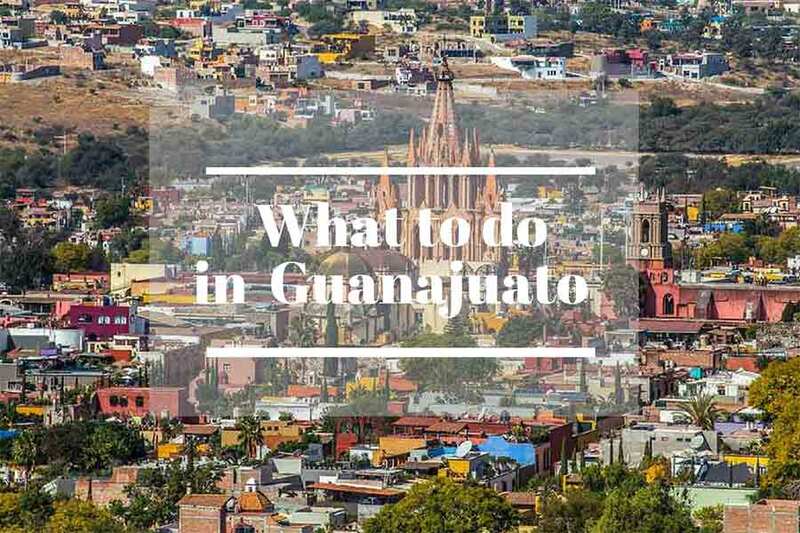 Besides visiting museums, buying custom silver jewelry, and all the interesting things you can do in Taxco, your visit to Taxco doesn’t finish there. There is much more to explore in the surrounding and I am going to tell you everything you can do, including a few things that I didn’t. The Pozas Azules de Atzala ( blue pools) are natural pools created by a river close to the town of Atzala at about 40 minutes from Taxco. The place has been equipped to facilitate the visit and people use to go and spend the entire day there, which makes it always a very busy place. In fact, my high expectation was a little turned down when I so so many people in the pool as I thought it took away the magic. But I found a way to enjoy the pools on my own. 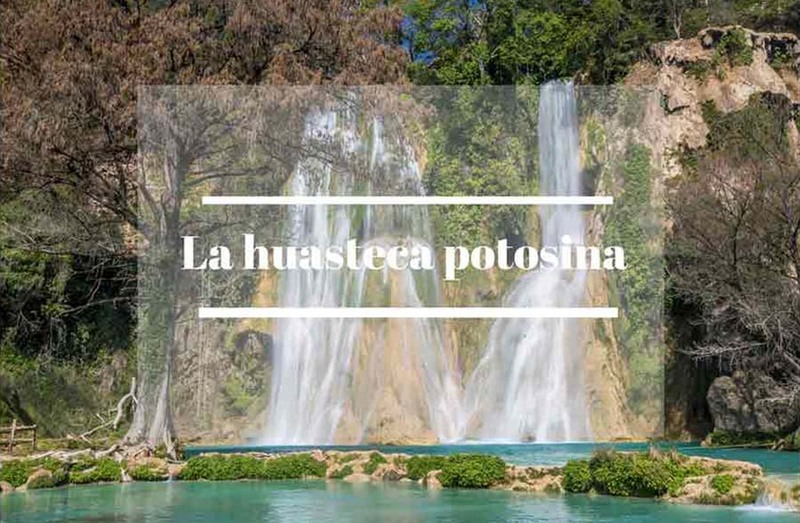 Check out this post to know How to enjoy the waterfalls of Pozas Azules to the fullest and how to get there. An amazing waterfall 180 mt tall (540 feet). But also the hike is very special. I will tell you all about it in another post. A funny note: When I hiked to this fall I asked the guide what was it called and she said Cola de Caballo which means horsetail. I asked whether there was an official name also and he insisted that Cola de Caballo was the only name. Now that I am writing this post and I am doing some research to make sure I am not writing BS I found out that the real name is Cacalotenango. I had a laugh. I wasn’t undecided whether I should go or not up to the very last minute when I arrived and saw such a long line waiting at the entrance. But my low expectations were totally exceeded when I entered these spectacular place. 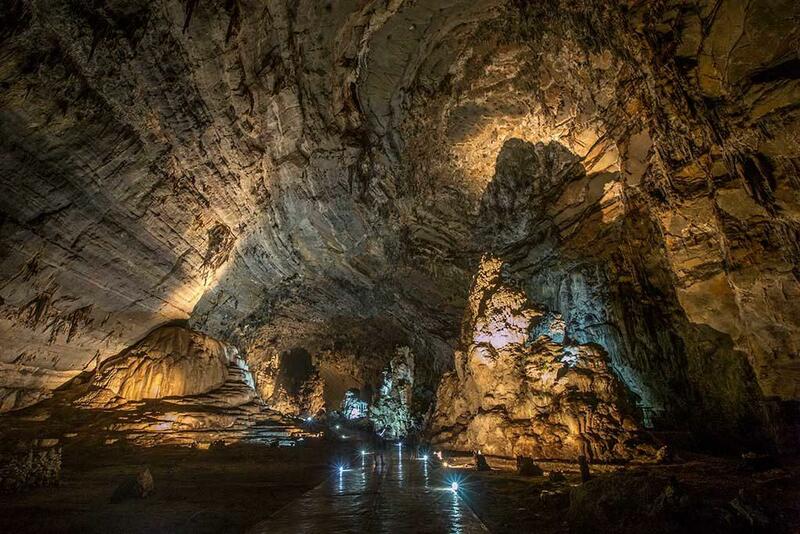 I have never seen such a big cave on earth. You walk for about 2 km inside and their hight is up to 70 mt. The rock formations with majestic stalactites and stalagmites are out of proportions. I will tell you all about it and how to get there in a separate post. 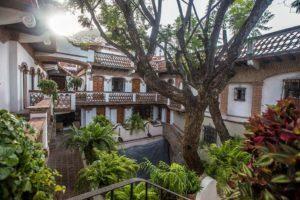 Taxco Hotel offer is huge and versatile. You will find many beautiful properties, the majority of which are beautiful old colonial houses that have been turned into hotels, some completely renovated and yet conserving the same vintage charm. 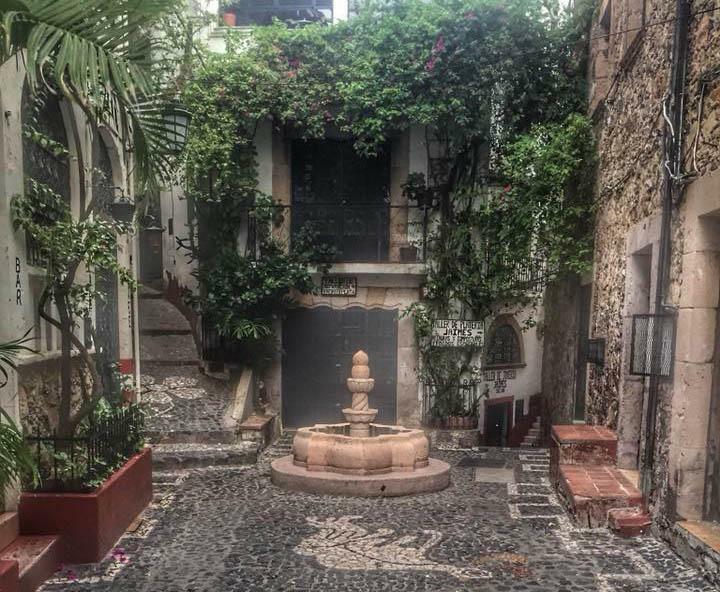 And because I love hotels and I have a weakness for luxury properties, as you may already know, I used some of my time to visit hotels while in Taxco. I had the privilege to spend a couple of nights in this beautiful property and I can only speak wonders. Situate at 10 minutes walk to the town center, you can enjoy the peace and tranquillity of a secluded area, amazing views of the city and a beautiful garden where you can enjoy your breakfast in the morning. The small rooms are nicely decorated in an elegant tone and provide all the comfort you need. Service is impeccable and every one of the lovely staff is there for you to help you out in all your requests. BONUS TIP. If it’s available, make sure to book the penthouse suite as it boasts a beautiful rooftop terrace with an amazing view of the sunrise. This beautiful old house has been refurbished and turned into a hotel without losing the charm of the old colonial mansion, witch thick columns, red brick walls, and the original tiling in the floor. 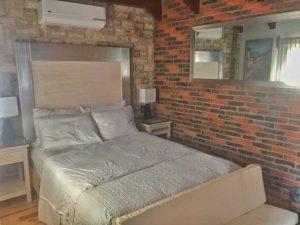 The rooms are very spacious with simple local wooden furniture and classical finishings. It’s located right behind the Zocalo and right after the Museo de Arte Virreinal. They have a delicious restaurant, Sotovento, which I wholeheartedly recommend. Click here to learn more and make your reservation. 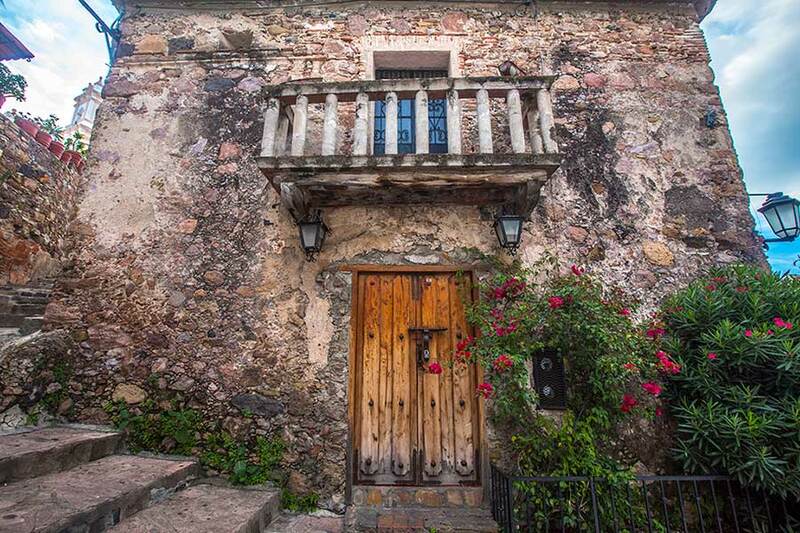 This cute little property located just at a few steps behind the church of Santa Prisca and almost in front of the Museo de Arte Virreinal offers beautifully decorated rooms with fine finishings and linen and a rooftop terrace with stunning views. The only issue with this hotel is that the majority of the rooms are very dark since they don’t have a window or if they do is on an internal patio with no light. So, if this is a matter of importance to you, when you book make sure you ask for a room with external windows, normally located on the top floor. A beauty. Pueblo Lindo is probably my favorite hotel in Taxco. I have seen the hotel by pure chance when I was looking for the restaurant Rosa Mexicano, which has been highly recommended by a friend I met in Taxco. I have even spoken about it in the things to do in Taxco. The restaurant is part of Pueblo Lindo hotel and it fits very well both for the style and the awesome service. Hotel Pueblo Lindo has been designed around a fancy heated pool where you can relax after spending your day exploring around. The rooms are just precious, graciously decorated with fine Mexican objects and art pieces. Some rooms have internal views others boast amazing views of the city, just like the terrace of the restaurant, that you should definitely visit at least once, no question. This luxury property is located right in the Zocalo, like you couldn’t get closer. The tiny Hotel door leads you to huge elegant spaces including the reception area with interesting expositions of artworks. The spacious rooms are furnished in a very simple Mexican style with wooden furniture and lovely decorations on the walls. The highlight of this hotel is the main rooftop terrace (as they have many), where you can enjoy a lovely dinner while enjoying the views of the city and the surrounding area. The entrance from the door beneth the stairs. This tiny hotel is located right behind the above mentioned Agua Escondida, just off the main square. It was a private house turned into a hotel, hence the name Mi casita, meaning my little home. From the pathway leading to the 9 rooms, you enjoy amazing views of the entire city and its special architecture. The interior decoration is very much looked after in every single detail, from the cute little colorful objects to the multicolored textiles on the immaculate white linen brightening up the room. It’s definitely a great option especially for a solo traveler, you will just feel like at home. I didn’t have the privilege to visit this stunning property as when I learned about it I was running out of time. Besides, it is located a little far away from the town center, which makes it the perfect place to chill and forget about everything else. I have read the reviews and saw the stunning pictures and it really looks like the place I would want to go if I wanted to relax and rejuvenate my senses while looking at the unbeatable views. 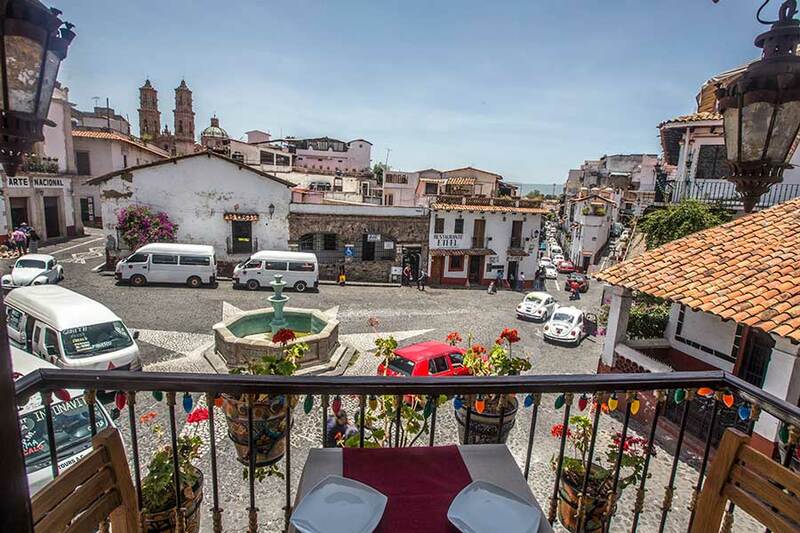 De Cantera y Plata hotel is rated one of the most stunning place to stay in Taxco, however, you need to consider that if you want to be close to the city and explore the surrounding it might be not so practical. It’s definitely an ideal place to go back to when you finish your tours, though. La Parroquia Restaurant and Bar – Right in the Zocalo, besides amazing views from its terrace, it offers a huge menu with different options, locals, and internationals including some vegan or vegetarian dishes. Rosa Mexicano – This is a great restaurant located on a beautiful terrace on the premises of the Hotel Pueblo Lindo with a stunning view of the city and the surrounding hills. I went there for my last breakfast in Taxco and I enjoyed every bit of it. El Adobe – located at a few steps from the church of Santa Prisca in the Zocalo, this lovely restaurant looks quite posh from outside but is actually very simple. Service is not exactly brilliant, but the food is great and if you manage to find a table by one of the windows you get nice views of the town. I managed to have a vegetarian meal with a delicious mushroom soup and roasted potatoes with cheese. However, their menu is quite large and varied. Sotavento – Located by the Hotel Los Arcos, just behind the Zocalo, they offer impeccable service and a great menu with local and international dishes. I had only one plate of veggies and salad as I wasn’t really hungry. It’s also a local’s favorite. 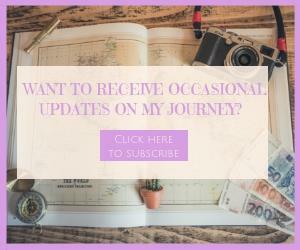 FULL DISCLOSURE – Please note that this post contains affiliate links, which means that if you book through those linked sites, I will get a small commission from the provider, at no cost for you ( you would pay exactly the same as if you were booking directly) and you will help me to support this site. I really appreciate that.